American web media giant and ISP AOL has won a dispute at the National Arbitration Forum over the domain 4ngadget.com. 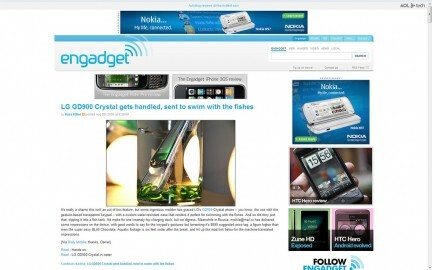 AOL claimed the name violated the trademark of its gadget blog Engadget. At first glance, but two may not seem confusingly similar, but because “4” is located right next to “e” on most keyboards, some visitors to Engadget probably ended up at 4ngadget.com by mistake. AOL asserts that because the registrant displayed PPC advertisements on the site, he or she was essentially profiting from typo-prone Engadget users . This is commonly known as typosquatting.